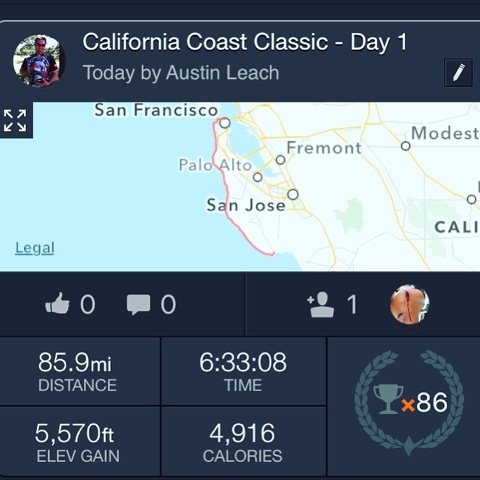 Today the riders covered 85.9 miles - from San Francisco to Santa Cruz. 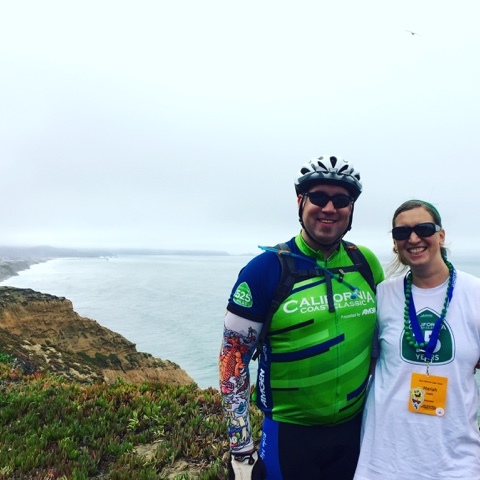 We had lovely foggy weather and a whale was hanging out with us at the first rest stop! Michael (the other member of Team Z this year!) broke a spoke near the end of the day, which delayed their arrival to camp, but otherwise all is well! Our boys are now safely at Grandma & Grandpa's Cherry Farm - and already enjoying gator rides galore! 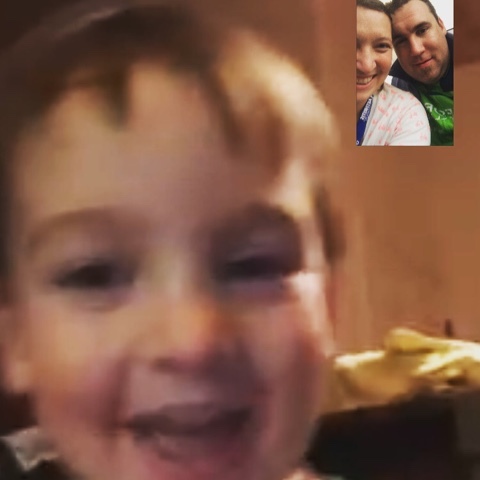 We got to FaceTime with Owen before bedtime and he seemed happy and comfortable. Thanks so much, Grandma and Grandpa! We're sure you got your workout today too! !